The F-4N Cockpit Simulator at the Tailhook Convention in Las Vegas, Nevada, 2013. 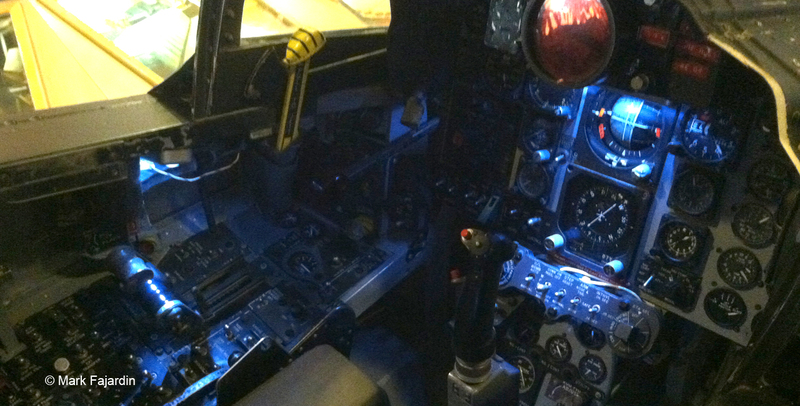 The F-4 Cockpit Simulator shortly after it got a thorough refurbishment and new paint job, in 2013. F-4 Cockpit Simulator interior. 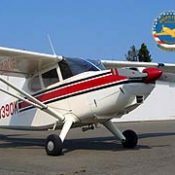 It was built as a training simulator, so has a comprehensive suite of instrumentation. The F-4 Cockpit simulator at the Tailhook Convention in Las Vegas, Nevada, 2013. This was a real hit with the Navy pilots who attended. For the older pilots it was a bit of nostalgia, and for the younger pilots it was an opportunity to sample the legendary F-4 Phantom. The F-4 Cockpit Simulator at the 2016 North Bay Science Festival. 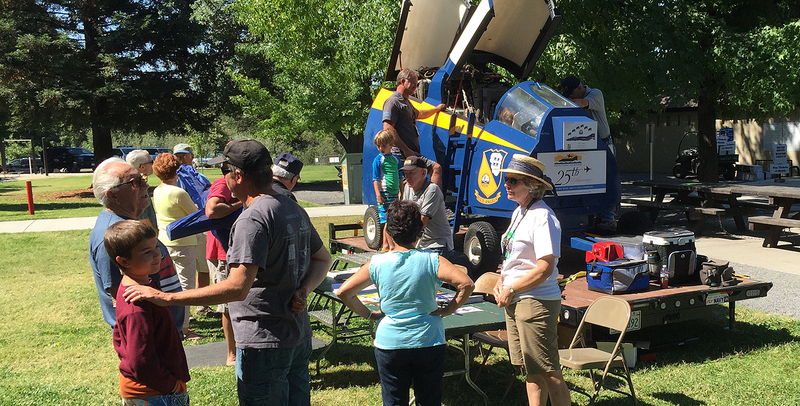 The Pacific Coast Air Museum packs the Simulator onto a trailer and takes it to special events, where kids and young adults get a chance to sit in it. 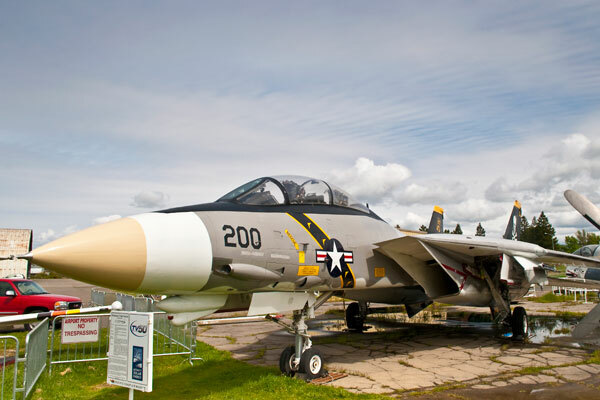 It is part of the Museum's mission to promote aeronautical and historical education. The first iteration of the F-4 began in September 1953, when McDonnell engineers submitted a design proposal to the Navy Bureau of Aeronautics (BuAer) for an F3H-G/H, an update of the McDonnell F3H Demon. In 1954 the Navy issued a full scale development contract that would result in an attack aircraft designated the AH-1. A Navy engineering group, led by Capt. Francis X. Timmes, concurrently began refining its mission and detailed specifications would change the attack aircraft back to a fighter interceptor, and the F4H-1 was born. The first prototype was flown in May 1958 and christened the “Phantom II” in honor of the FH-1 Phantom aircraft that first made McDonnell a viable company. In 1959 the Navy began training the first squadron of Phantom pilots, and in December 1960 the F4H-1F was introduced to the fleet off the coast of Virginia. The F-4 Phantom II is a fighter-bomber with a top speed greater than Mach 2.2 and can carry more than 18,000 pounds of weapons including air-to-air missiles, air-to-ground missiles, and various bombs. A total of 5,195 F-4’s were built from 1954 to 1979 serving with the US Navy, US Marine Corps, US Air Force, and numerous foreign nations. The F-4 also flew with the US Navy Blue Angels (F-4J) and US Air Force Thunderbirds (F-4E) throughout the mid 1960’s and 70’S. 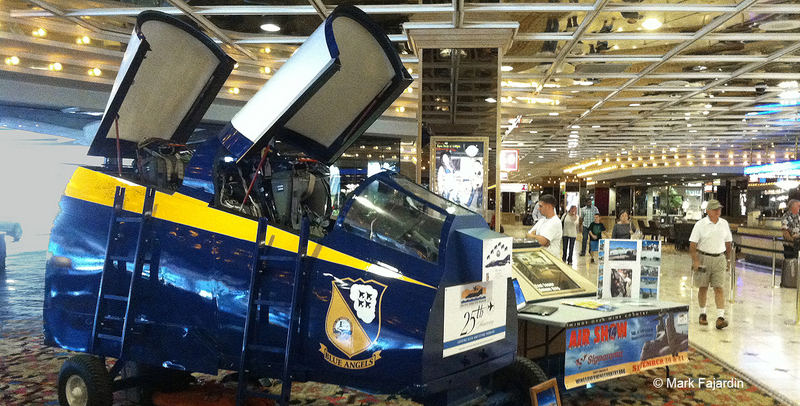 Our Blue Angels F-4N Phantom II is a cockpit simulator used to train Phantom pilots. 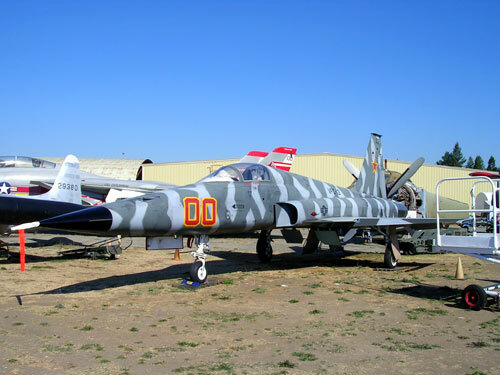 Even though it looks like a real F-4N, it is not. 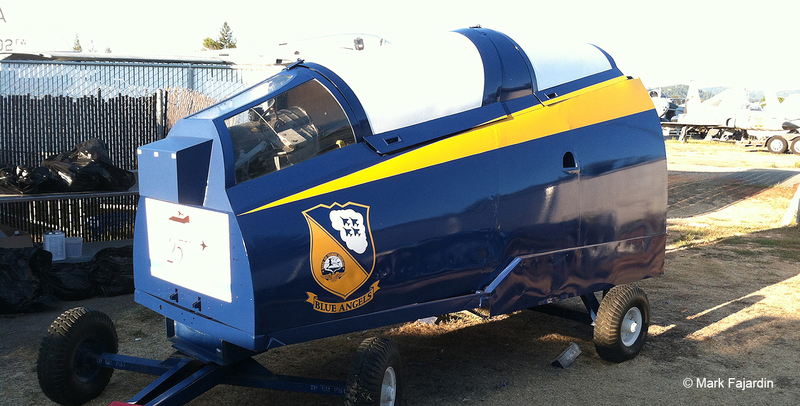 This Simulator was removed from the training building at Naval Air Station Fallon Nevada and the personnel at Intermediate Maintenance (AIMD) put a sheet metal skin around it, painted it in Blue Angels colors, and built a custom trailer to transport it on. The military brought the Blue Angels Simulator to our 1998 air show for the first time, and it was a big hit. 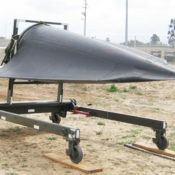 After that show the Sim was put into storage and forgotten until 2006 when it was offered to the Pacific Coast Air Museum. 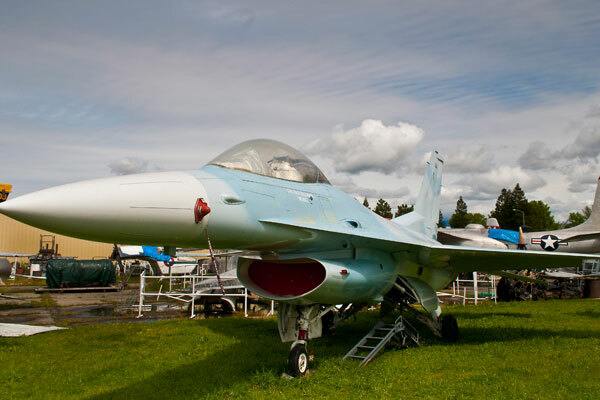 Since then our F-4N Simulator has had a successful career educating and inspiring our youth, supporting the military, and promoting aviation at events around the west coast. 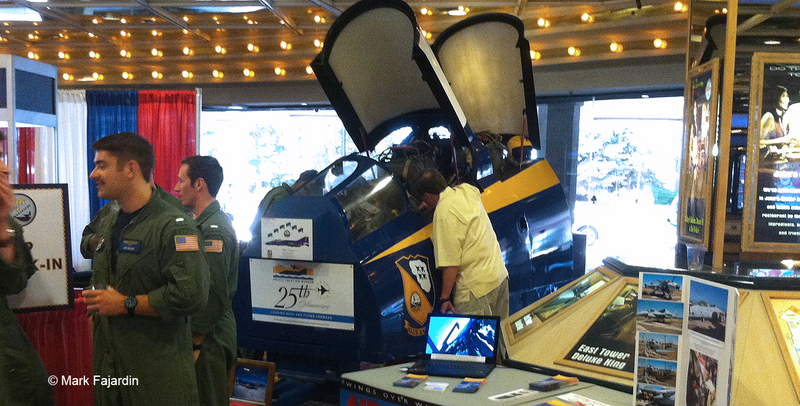 In September 2014 our Director of Aircraft Acquisitions Mark Fajardin was asked to display the Blue Angels Simulator at the US Navy Tailhook Convention in Sparks Nevada. 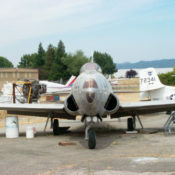 By this time the F-4 Sim was in need of a total restoration and Mark had less than two weeks to get it done. The F-4 was rolled right into the lobby of the Nugget Hotel (a first for PCAM) and was a huge hit with the current generation of Naval Aviators that have only seen Phantoms in museums, and it evoked sentimental memories from the veterans that flew the mighty F-4 Phantom II.